With less than a quarter of the Premier League left to play it’s safe to say that the fan base hasn’t been this excited about anything like this in such a long time. Liverpool haven’t been spectacular this season, judging by how effective we were offensively last season, but our overall gameplay has been far better than it has been in recent seasons and that is mainly down to our new found defensive stability. Vying for the title alongside Liverpool is an incredible Manchester City side and whilst there is no shame in coming short when you have to compete with such an amazing side, Liverpool have pushed them incredibly so far and we certainly will for the rest of the season too. Our respective title run-ins are pretty similar apart from the fact that City are still challenging for the FA cup, therefore giving them extra games to play and an even more congested fixture list. Liverpool currently lead the Premier League by a couple of points, though City do have a game in hand, and it definitely helps that Liverpool’s run-in is somewhat easier than that of City; Liverpool have less games to play and therefore the pressure is definitely on City to maintain their current form and win every possible game. 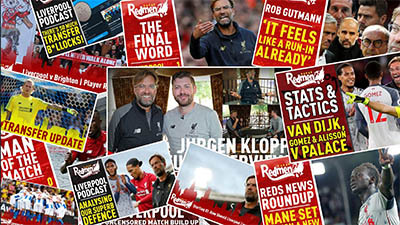 Liverpool have played a large amount of ‘big’ games already with only Tottenham, our next game after the international break, and Chelsea left to play and while this may seem daunting, both games are at home and the supporters at Anfield will no doubt make life hell for the opposition players. The major boost for Liverpool does come from the Champions League with City having to play Tottenham 3 times in just 11 days while we only have to play Porto, though that set of fixtures does fall either side of a crucial home match against Chelsea in the league. Following these crunch games against Tottenham, City will have back to back away games against Manchester United and Burnley to contend with – that’ll be no easy run especially when you consider that they’ll be coming up against two defensively solid sides without their usual home support. It would be fair to say that City have been the dominant force in English football this season but Liverpool’s solidity at the back coupled with the recent ability to win ugly and grind out results against prickly opposition has allowed us to keep up with the current reigning champions and we fully deserve to be where we are now. City have been better offensively but out of both teams Liverpool are the only side to have 2 players with 20 or more goals, highlighting the shared responsibility within the squad and the effectiveness of our system. 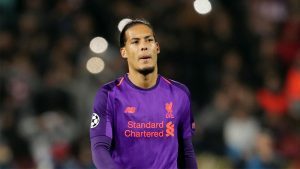 The most potentially defining game of the season will likely come on the final day when both Liverpool and City play against Brighton and Wolves respectively, though Liverpool having their final game at home will certainly give them a little boost. The home crowd will certainly give the players a much-needed push after a demanding season and an even more demanding run-in and that could be the difference. City have to finish their season away at Brighton, a team fighting to stay in the league, and we can hope that without their ‘home support’ they may struggle to win under the immense pressure, especially if both sides desperately need a win. 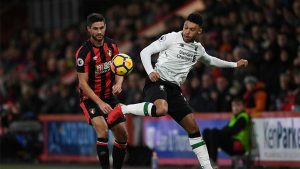 The return of both Joe Gomez and Alex Oxlade-Chamberlain will definitely help with the run-in, even if they don’t play particularly much, and having them in and around the squad will help ease the pressure on the current starting players and improve the overall squad morale after what has been a non-stop season for us. This ability to rotate isn’t something we have been able to do a huge amount and with Naby Keita also nearing full fitness, we should be adequately prepared for one final push. If you’re one for superstitions and a strong believer in past form, then you’ll love this… when Liverpool played their remaining 7 Premier League opponents earlier in the season they won 6 times and drew only once (away at Chelsea) whereas City won 6 times but lost twice against their remaining 8 opponents. This means that should Liverpool and Manchester City see a repeat of those results Liverpool should finish the season on 95 points, a whole 3 points ahead of City. In addition to this City have to go and play Manchester United at Old Trafford after winning at the Etihad earlier in the season so a loss there could really put some space between us and relieve some of that pressure during the last few weeks.